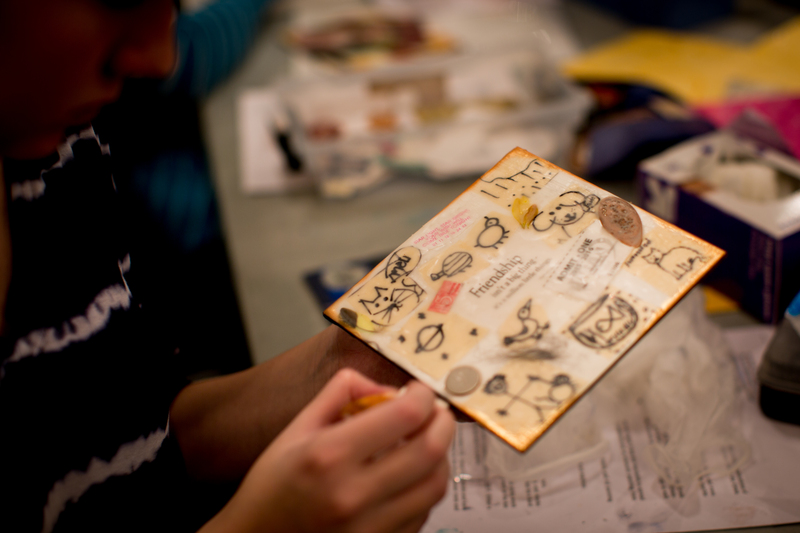 Our Middle and High School class dug into encaustics on Wednesday evening. The creativity was flowing. 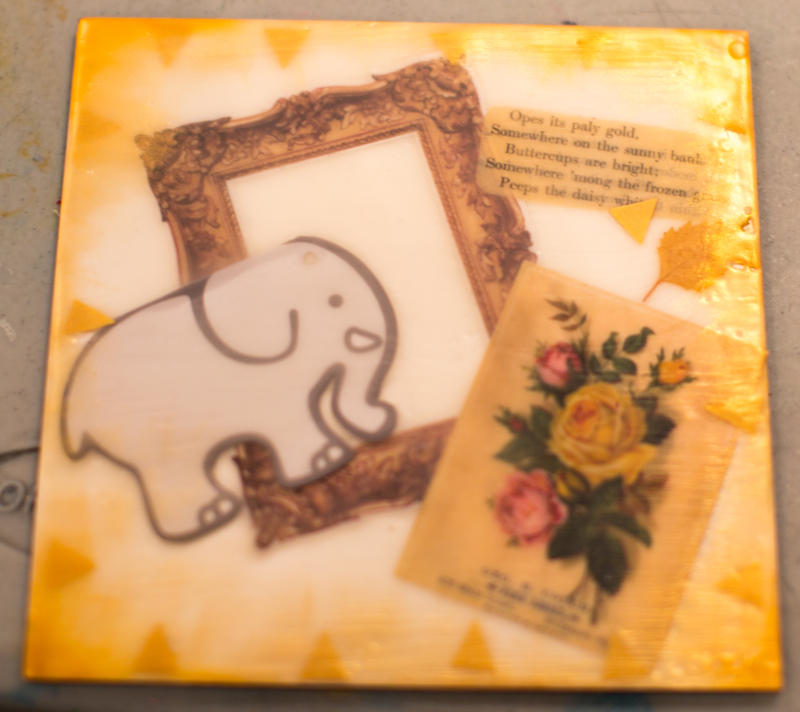 Encaustic painting is one of the world’s oldest art forms! The earliest applications of encaustic wax paint were done by the artists of Ancient Greece – hence the Greek word “enkaustikos” meaning “to burn in”. Greek artists were using wax paint to adorn sculptures, murals, boats, and even architecture. They also used wax paint to highlight the features of the marble statues placed around the Acropolis. Greek art spread to Egypt during the Hellenistic period and with a large Greek population, it didn’t take the Egyptians long to adapt to the use of wax paint. Greek-trained Egyptians started to incorporate encaustic paint into their paintings as well as mummification practices. As encaustic painting flourished in Greece and Egypt, it was also inevitable to spread to Rome. In fact, Julius Caesar himself commissioned an encaustic painting from Timomakos. During the Middle Ages, more artists turned to tempera, fresco, and oil painting techniques. In the last decade, encaustics have once again become a popular art medium. Heated beeswax with damar resin added generally in an 8 to 1 ratio. 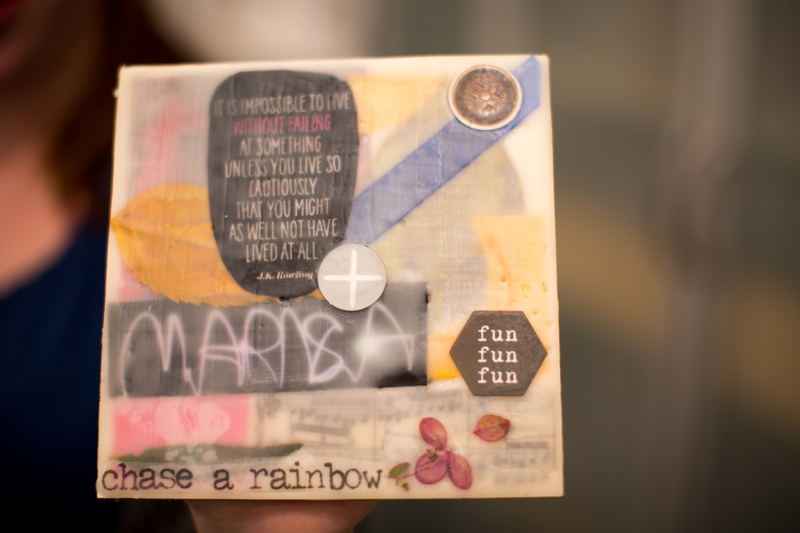 The surface – Ampersand encaustic board holds heat evenly and works beautifully. Can also use birch plywood or even scrap board. Must be a hard stable surface that is absorbent. Other tools – metal tools for incising. Pottery tools and dental picks work well. Brushes made of natural fibers – synthetic brushes may melt in the hot wax. 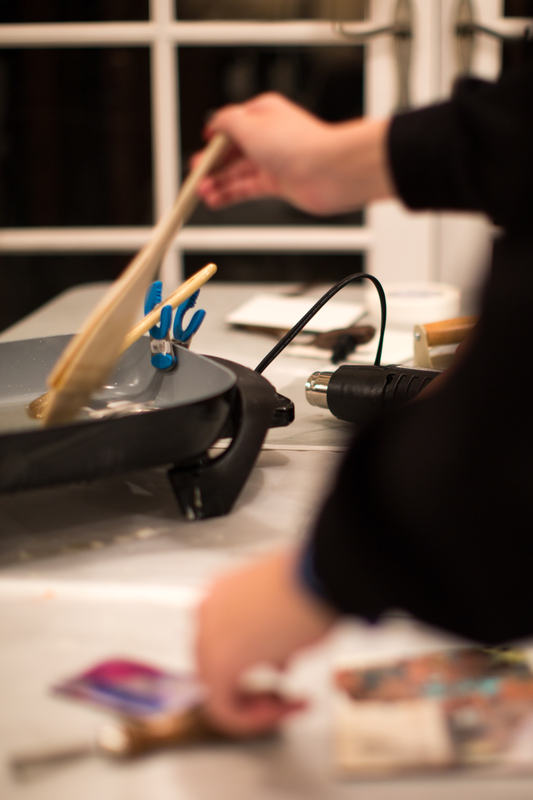 Palette – griddle to warm the wax with a temperature around 220 F. Either a heat gun or a torch to warm the wax once it’s applied. Metal tins to hold the wax. Proper ventilation – do not heat wax above 220. Never let it smoke and have proper ventilation because of fumes emitted by the mix of damar resin and oil pigments. Priming and Fusing: Prime the surface to prepare the board. 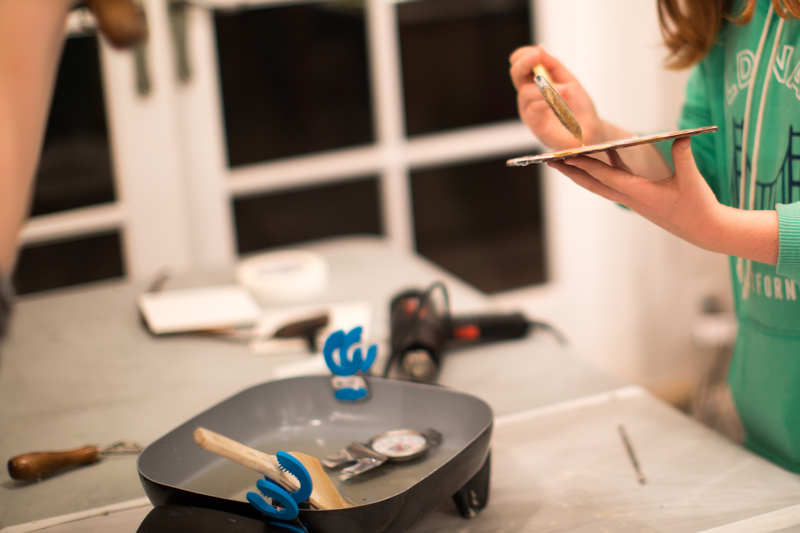 Fuse base layer by heating the surface with the heat gun until the finish turns shiny. Repeat – 2 to 3 times for a nice base layer. 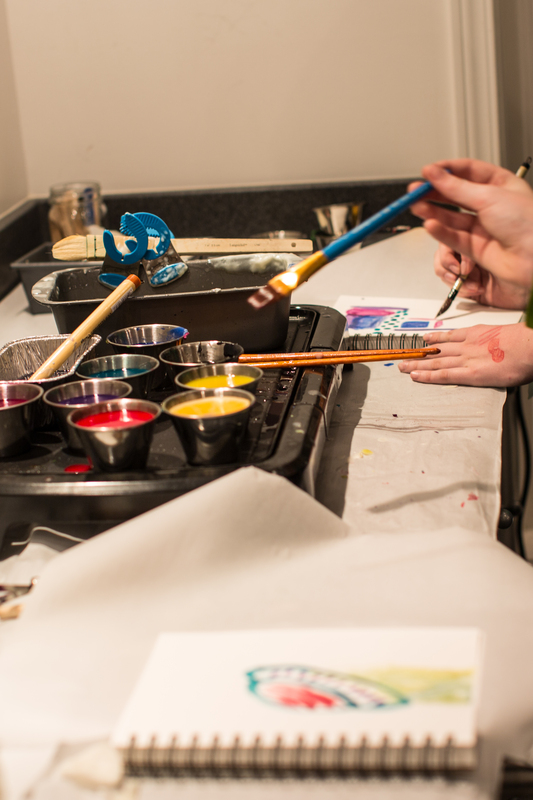 Add Color: Make colored wax by adding pigment in the form of premade pigmented medium, oil paint or oil sticks. Warm board and brush and even layer of color over it trying not to overlap. 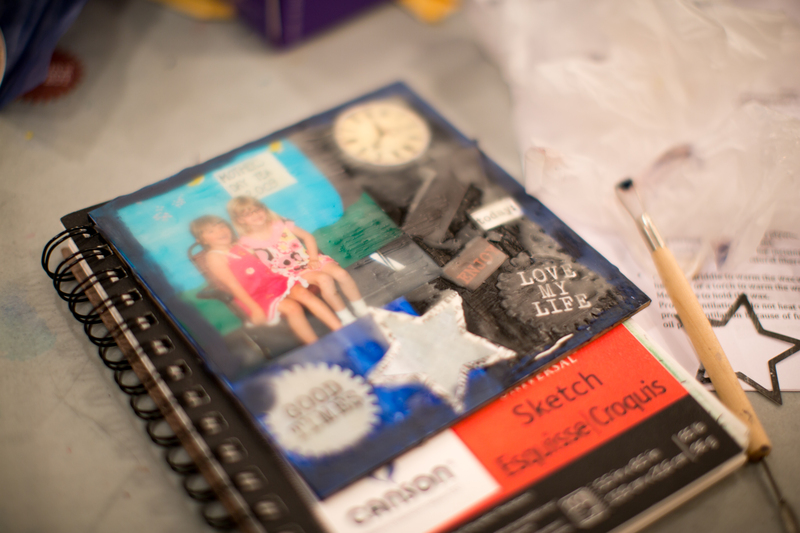 Adding Mixed Media: Really anything goes! Lightweights add ins: Lightweight prints will disappear into the wax. 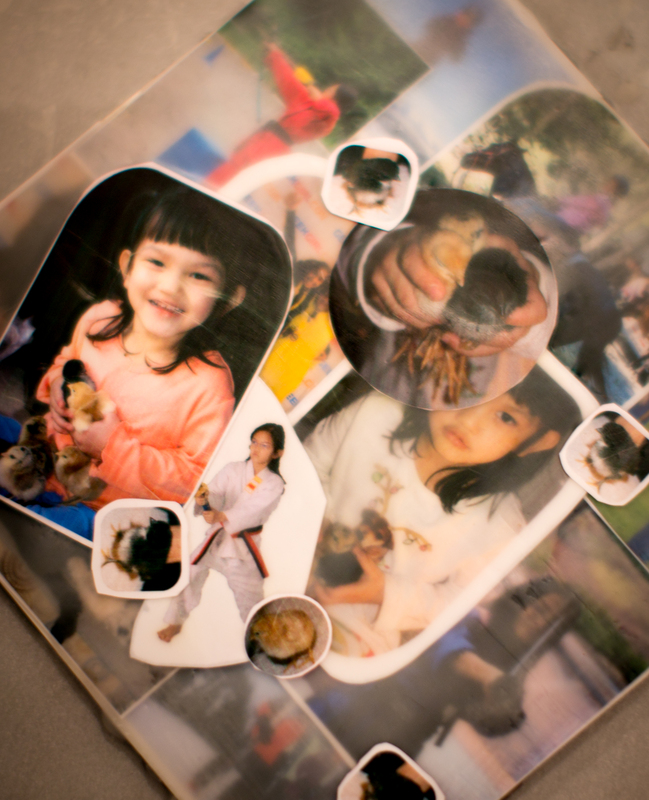 Try printing photos on sumi paper. Heavier Paper: Same process but us a tool to hold down the edges of the paper while you fuse it so the edges do not turn up. Heavier/Thicker Items: Prime your board to the depth of your object and press objects into the warm wax. Fuse with an additional layer of wax. 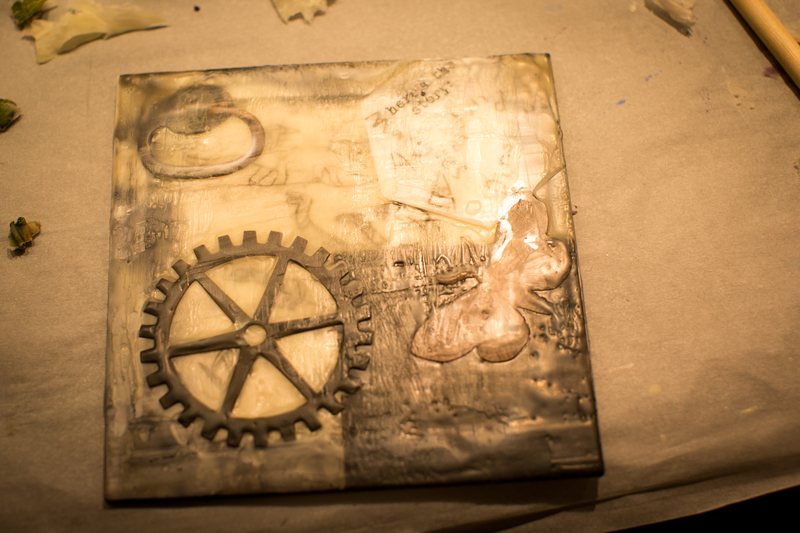 Line Making: Another really fun attribute of encaustics is the ability to cut into the wax. Incising: Any metal tool will work. Clay tools or dentist picks are the best. Cookie cutters, wire brushes etc. Add color with Pan Pastels: “Paint” your piece of art by adding color with pan pastels. Wear gloves and use makeup sponges to add color to a cool surface. Fuse in the color – watch the surface because it will spread if it gets too hot. 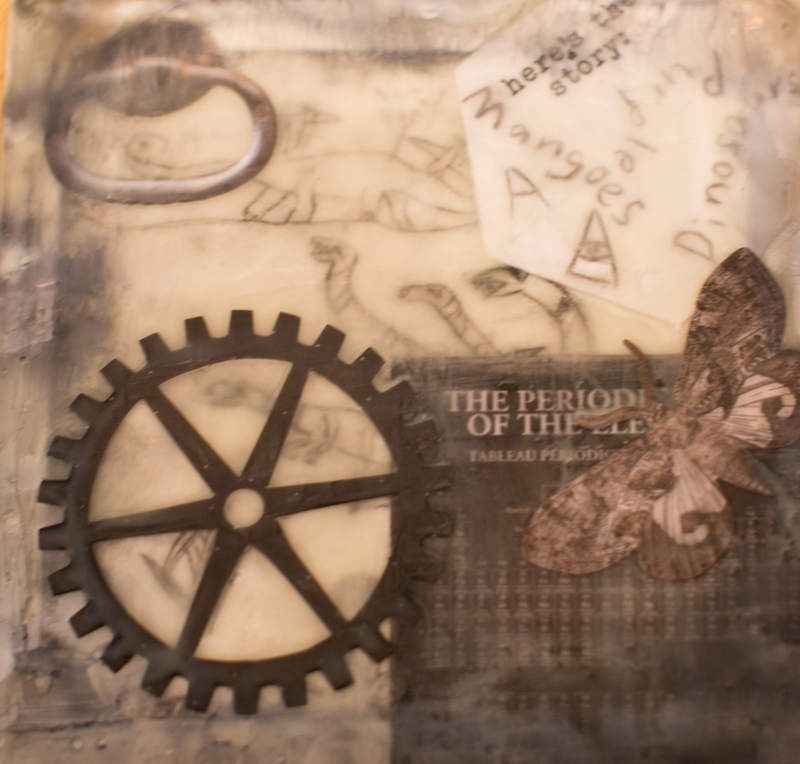 Now that the students have a feel for the medium, we will be creating more with encaustics next week. Check out my boards on Pinterest for more inspiration and come prepared to create! Louis really enjoyed this class, thanks! Love these emails and the pictures!